This package of 10 9" cheap white plates bulk will help turn your party event into an elegant affair! These disposable white plates bring trend and style to the table at a price that is better than just affordable. Use with matching bowls and solid color or printed elegant napkins for a look that will make your guests scream WoW! 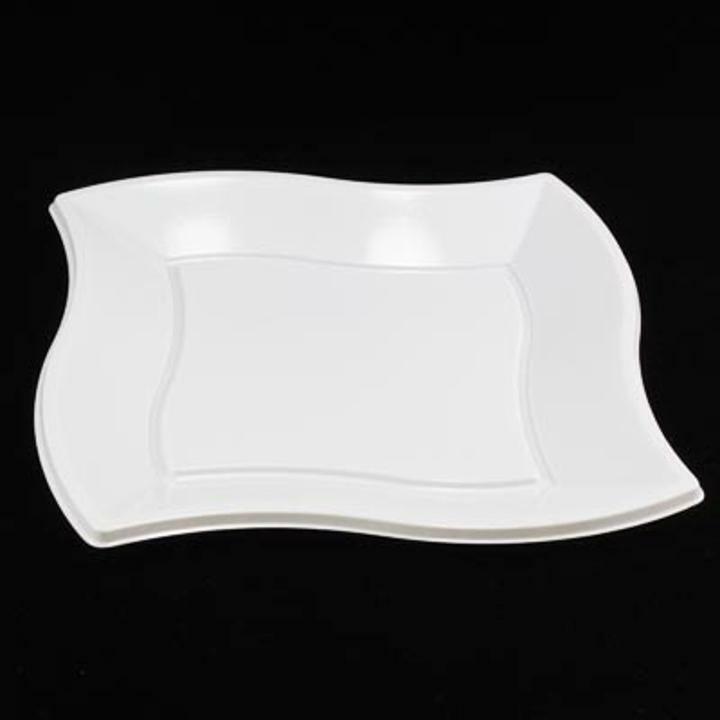 |These white plates wholesale are available at discount prices that you can't find anywhere else.||********Please Note:******* These wholesale white plates are a one time use disposable product and are thinner than our standard product. Not intended for buffet use.